This is the poster from the upcoming animated Thanksgiving film: Free Birds. 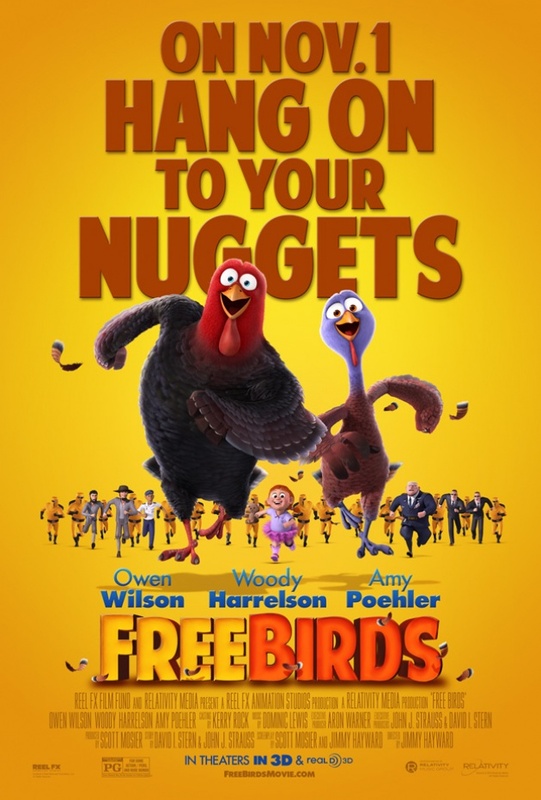 Starring Owen Wilson and Woody Harrelson, Free Birds combines comedy with some science fiction, two turkeys will travel through time to change the past, so that humans stop eating their kind every Thanksgiving Day. An interesting plot, maybe after watching the movie, some kids will avoid turkey this coming holiday. The film opens on November 1st.